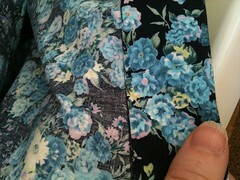 Back in May, when I bought the fabric to the Rosie dress, I noticed that the floral print was available in other colors as well. Back then I thought it was a bit over the top to buy it, and let it go. 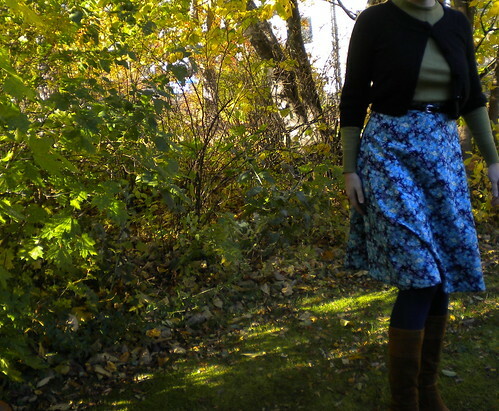 An awful pic, but it shows the shape of the skirt better then the pics I took outside in the crazy wind. Wednesday, I thought much and long about my skirt. As I´ve been hearing A LOT about underlining and lining lately, I tried to come to a conclusion of what I should do. Should I make a lining, an underlining, or none? I have also been reading through my 1970s Burda Magazines lately, and really wanted to add some pockets to my skirt. 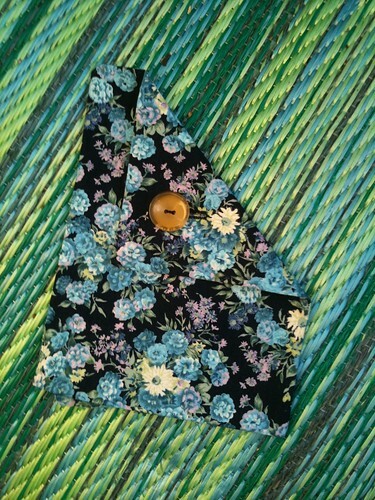 I actually made the pockets, with buttonholes and all. But then, when I tried them on, I decided not to add them. Maybe another time. For now, I love the more sleek finish the skirt has without the patch pockets. One of the pockets. I really love this shape. It is too cool for school – but not for this skirt. Yet. I came to the conclusion that I didn´t need to either line or underline either, as the fabric itself had such a wonderful drape which I didn’t want to mess with. I´ll rather just wear a slip or a petticoat underneath it in the winter. For summer I think it can stand on its own. Or rather, drape on its own. Thursday I did most of the work. 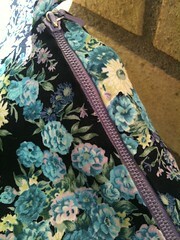 I added the zipper, I hand stitched the waistband, added a button and buttonhole and finished off all the seams. Then I let it hang overnight (as one is supposed to do with skirts, I have heard…), and then I hand stitched the hem today. And voila! 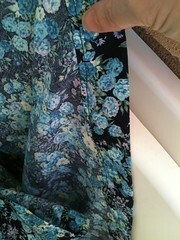 I have a new 70s inspired skirt in my self-stitched wardrobe. Hurray for that! 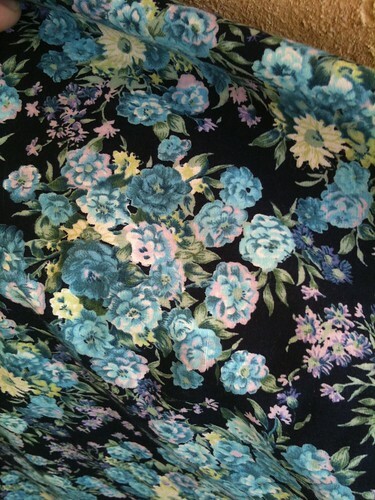 So pretty – I love a good dark floral. That is a lovely print, I’m not surprised you decided to get it in a different colour! 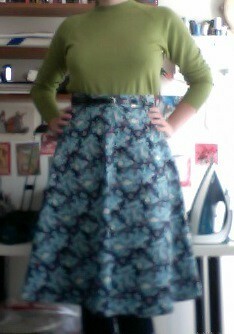 And the skirt turned out just beautiful! Do you think you’ll end up using the pockets? Maybe on a another skirt? Thank you! 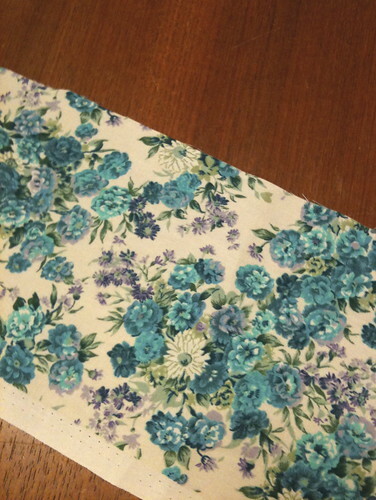 I might use the pockets for this skirt, but change the buttons if I find any that is a bit more neutral. Using them on a different skirt is a good idea, too!